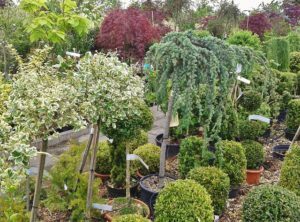 Whether you want them to achieve a specific look, or just to add some more shade to your yard, it’s important to choose the right new trees. Whether you want them to achieve a specific look, or just to add some more shade to your yard, it’s important to choose the right new trees. If your existing trees are starting to die off, it’s time to find new ones. Once you get rid of old trees you will have to make a new start. There are so many trees to choose from. How do you choose the right ones for your property? No two trees are alike. Think about your own siblings: just because you all came from the same nursery doesn’t mean you’re the same in terms of personality, skills, and talents. Trees are the same. With the right trees, you can minimize the wind damage that has been affecting your house – knocking down wind chimes and throwing stones into windows or ripping roof shingles off. Sometimes you can use trees to help add privacy to your yard, too. Next, you’ll need to think about how much room you need. Bushes, shrubs, flowers, and vegetable patches might not take up too much space in your yard. But the trees are the largest feature and will need plenty of room to grow. Eventually, the old trees will probably be able to take up most of your yard. Sometimes, a taller tree is best, especially if you want a shade tree. Trees can live for decades or even centuries once they are planted. Your home may not be there in that same amount of time. That said, when you’re looking for some new trees to plant, that shouldn’t discourage you from planting fast-growing trees or slow-growing trees. Trees that grow quickly will also have complex root systems that will need a lot of attention. This might mean you won’t be able to take care of your other trees or landscaping features, so choose your new trees carefully. This entry was posted on Friday, July 20th, 2018 at 4:30 pm. Both comments and pings are currently closed.